California Roll House is a project of Violent Volumes. 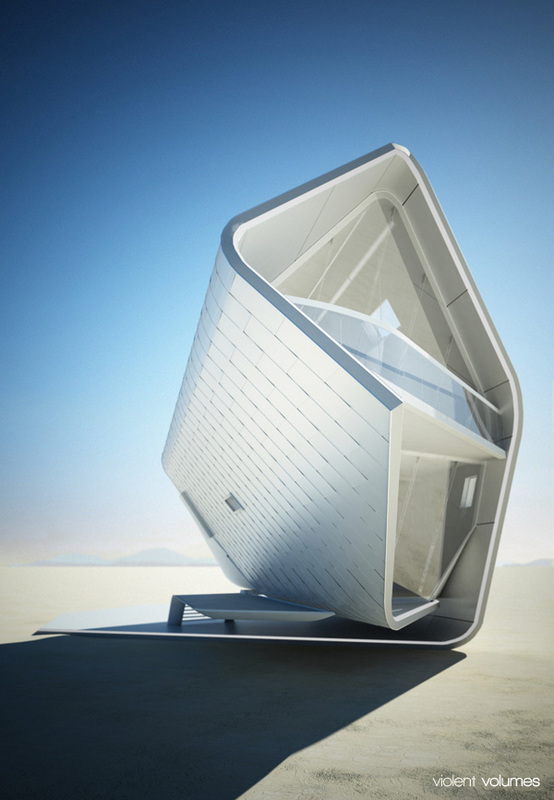 Modern and mobile California Roll House is a life-saver in a desert. The modern architecture allows using various technologies to design and conceptualize modern homes and that’s what Violent Volumes did. The house is equipped with window transparency control system, assembling/disassembling mechanism, and other various technologies. California Roll House is made out of fiber-reinforced plastic that is supported by carbon fiber truss frame. The unusual shape of the house provides a platform in the outdoor space that open possibilities for various outdoor activities. The hydraulic powered doors save space in the interior while disguising the entrance in the exterior. The divided door opens in two pieces the upper and lower while making a doorway height up to two meters. The interior is lit with natural light coming from the glazed wall that can be controlled to customize transparency and hence the amount of light coming through. The structure can also be placed at such a location that would provide the right amount and angle of light. The bedroom in the house is disguised with a curtain and an open bookshelf that also acts as a room divider. The layout is open so there is a need for privacy which can be easily provided with help of dividers and light curtains. 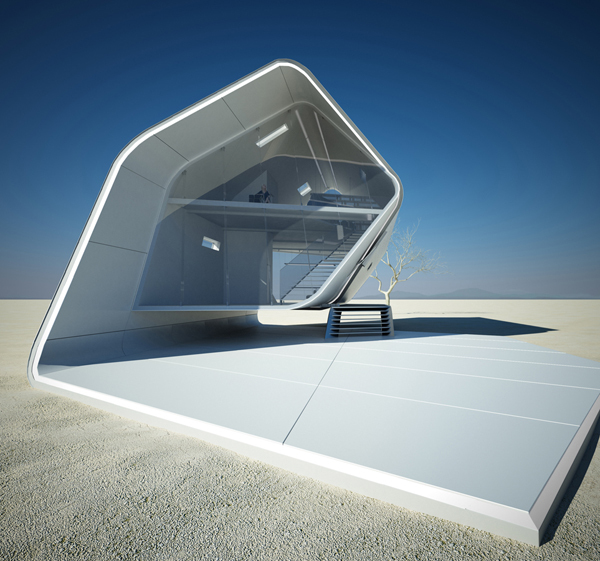 California Roll House is a two-story concept structure that is a futuristic technological alternative to modern trailers and mobile homes.